PatientSource Ltd homepage outlining our electronic medical records / electronic patient record system. PatientSource EPR has been designed and developed by NHS clinicians. It works on computers, laptops, tablets and smartphones. It is extremely user-friendly and cloud-based. Built by the people who work in the NHS! Front-line staff find it really easy to use. Massively reliable, automatically backed up. Never worry about running the infrastructure yourself again. Artifical Intelligence to assist diagnosis, detect deterioration and forecast resource usage. Built on modern, battle-hardened Open Source components. No hidden licence fees. We're PatientSource. We are doctors who have designed and built a revolutionary electronic patient record (EPR) system. Doctors and nurses love our EPR because it makes their work easier and their patients safer. We are backed by Microsoft UK and Trustmarque and have a track record of success in the NHS. Find out about our team, vision and how we can help you with your healthcare IT requirements. 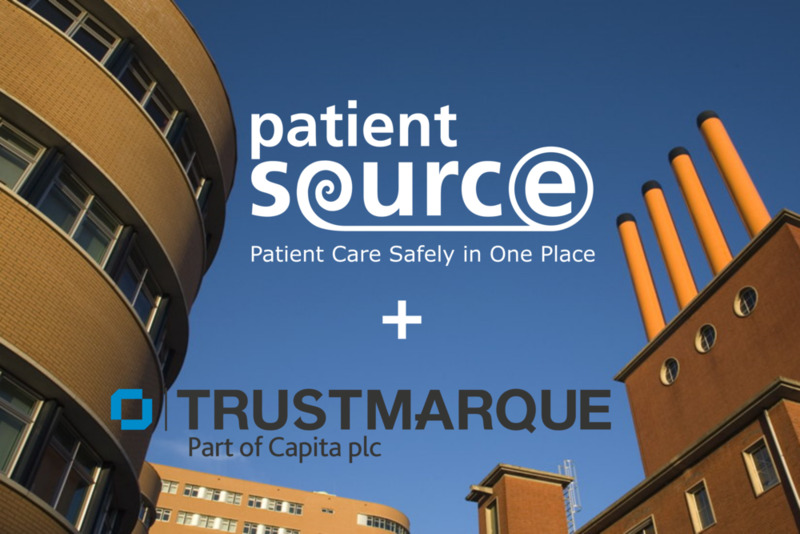 PatientSource has teamed up with Trustmarque in order to deliver complete IT solutions to the NHS.